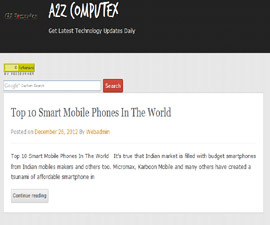 A2Z Computex has created web presence for various corporate organizations. Our developmental skills and high quality standards have given us an edge over our competitors. 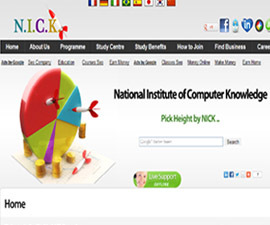 We have implemented corporate websites for most of the business domains. The web development process followed by us depends upon our client’s specific requirement. Keeping in view the unique website design and development needs of each individual client we formulate our development strategies and in synchronization we make a choice of the technology to be implemented. We have compiled a large portfolio of our developmental endeavors. "Love Guru G" is Designed and Developed for solving love problems online it's free to use and secure. Love is a feeling. Love is a true. Love is a god. 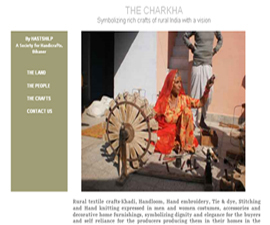 This project has developed for rural textile crafts-Khadi, Handloom, Hand embroidery and Hand knitting expressed in men and women costumes, accessories and decorative home furnishings and elegance for the buyers and self reliance for the producers producing them in their homes in the villages spread across India. We have developed a website which cover whole information of travel and tourism in india. Its a very good site which shows correct tourism places in india. 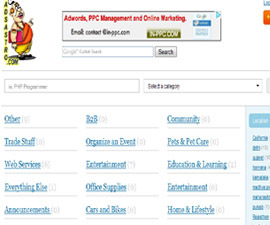 This is a free ads posting classifieds portal for promote business.